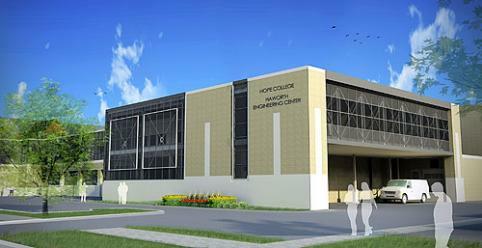 Construction is underway on the new Haworth Engineering Center at Hope College. The project is scheduled for completion in time for the start of the 2013-14 school year. The new Vande Poel-Heerema Stadium Courts await the start of the collegiate tennis season in the spring. The Outdoor Discovery Center Macatawa Greenway, with which Hope has an on-going research and learning partnership, has received the 2012 Watershed Stakeholder of the Year Award from the Macatawa Watershed Project.